Every year, we welcome over one hundred new rowers to the club at the beginning of the Michaelmas term. We believe that the novices at Lady Margaret are as important as our first boats. We know that we must invest in our newest athletes if we are to continue to field competitive racing boats in the future! During your first term, you will be given the opportunity to choose a boat with a level of commitment that suits you, participate in a range of socials with both senior and other novice rowers, and even compete in some of your first races by the end of the term. In week 1, we run a taster day where you will be able to get out on the water, try an erg and talk to our committee members about what you’re looking to get out of rowing. The higher the boat you choose to be in, the more outings you will take part in. Each group determines their frequency per week and the point at which you move into an 8+! We host a range of social events for our new novice rowers over the course of the Michaelmas term! Highlights include ‘Boatie Hall’, our famous Bonfire Night barbecue, and ‘Swaps’ with other novices, senior rowers and other boat clubs. The pinnacle of the term is the races held just for novice college crews in weeks 6-8, such as Queens’s Ergs, Emma Sprints and Clare Novices. These events provide you and your crew with a fun opportunity to be rewarded for all your hard work, with many Maggie crews winning over the years. To teach novices basic technique. To give novices an opportunity to bond with each other. To give novices an opportunity to make contacts in other colleges. To introduce more committed novices to a structured training programme. Our flexible training means almost everyone who decides to learn to row with us has an incredible time. Not only will you have an opportunity to make lifelong friendships in your first term at Cambridge, you'll also be part of a bigger family of people who share common values and aspirations. Rowing is a brilliant way to enrich your experience at Cambridge. 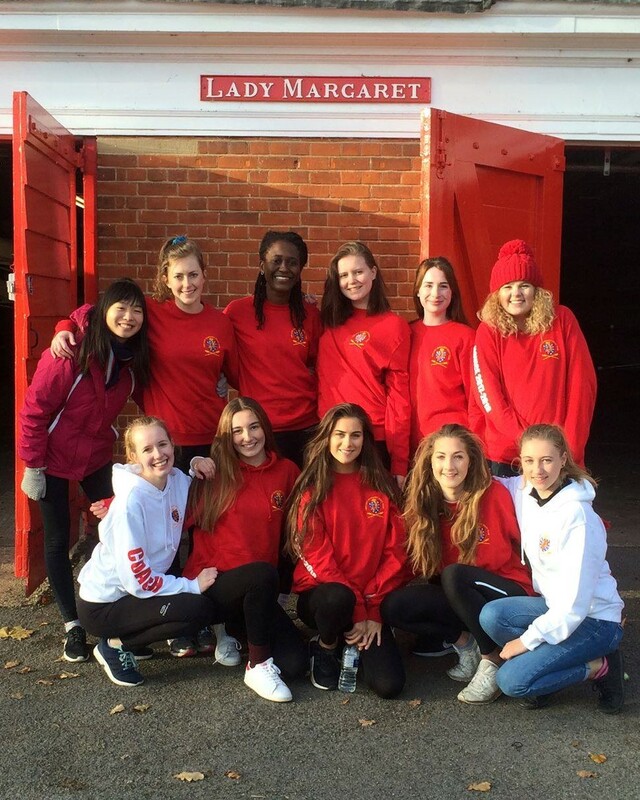 If you're interested in joining the Club and finding out what rowing and coxing for Lady Margaret is all about, fill in the contact form or attend one of our recruitment events in Michaelmas term. You can also browse our Training Strategy and Novice FAQ Sheet to find out what novicing at Lady Margaret is like.